Many bloggers are not aware that you can’t just use any images off the internet in your blog posts. Not only is this ethically incorrect but you could leave yourself open to copyright infringement. I teach my student bloggers to “do the right thing” by using their own images or Creative Commons images in their blog posts. 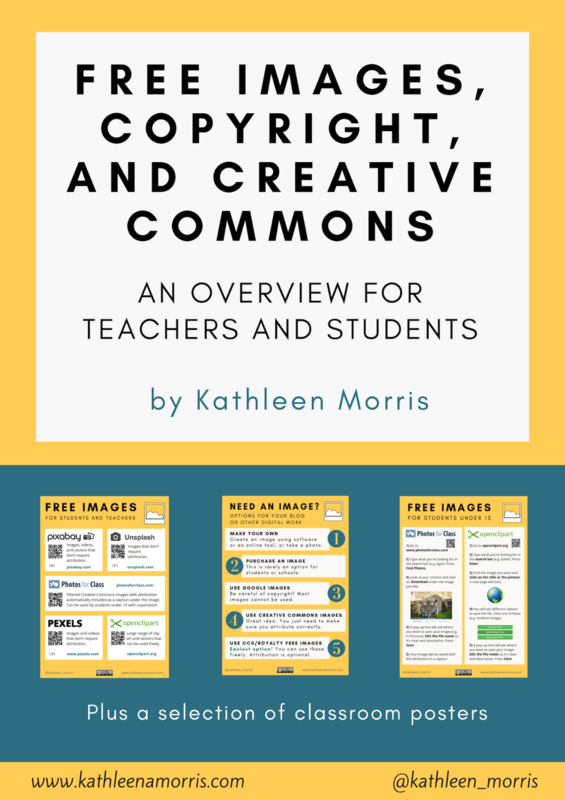 Wanting to make this process clear to my student bloggers, I created a document explaining copyright, copyright infringement and Creative Commons. The guide provides step-by-step instructions on how to use FlickrCC and Wikimedia Commons to upload and attribute images in blog posts. Obviously, there is more than one way to do this, however, I wanted to keep the instructions as straightforward as posssible for my students. I have embedded this document below. Feel free to use it with your students to teach them about these important blogging habits. 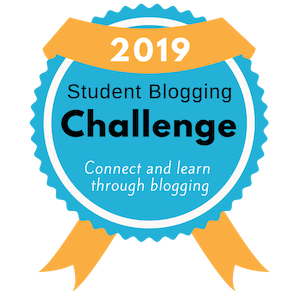 More detailed advice on using Creative Commons images in blog posts can be found in the Teacher Challenge guide by Sue Waters. How do you go about using Creative Commons images? This is brilliant! Thank you! Is your “Using Creative Commons Images from FlickrCC and Wikimedia Commons in Blog Posts” Creative Commons? I’d like to adapt it to a Comic Tutorial! (With attribution, of course!) Would that be cool with you? Thank you! I haven’t thought too much about Creative Commons in regards to my own work much so it is definitely something I’m going to think about more. However, you’re more than welcome to adapt the tutorial. I hope it helps! Thanks so much for your comment. ImageCodr looks like a great tool and one I will use in the future! Thank you for this very useful resource Kathleen. I’ll also be checking out ImageCodr. My students have recently started their own blogs and I taught them about using CC images only. There was a lot of grizzling because they couldn’t always find images they liked and couldn’t use the images they wanted to. It was really interesing to see their responses because they were reluctant to accept that they couldn’t just use anything they wanted to. I think this is a widespread attitude in our society about sharing games, movies & tv shows, music etc so it is really important that we are teaching our students about correct, legal sharing. It certainly is frustrating to think you can’t use any old image and kids (and teachers) do find that hard to accept. You’re right – it is so important that we teach about correct, legal sharing. We need to be role models and set high expectations. Linda Yollis did an excellent lesson with her third graders to help them understand Creative Commons. You should check it out here. I will definitely show my students the video Kathleen. It might help them to understand why it matters. Thank you for sharing the link. Great resource, Kathleen. It’s a big change of attitude for students and teachers to make. We’ve spent years making PowerPoints and printing out assignments full of images from Google with no thought about that. I think of how many Leunig cartoons shown at PD sessions without thought on copyright. Now we are going public with our work we need to understand copyright. I’ve read quite a few horror stories online about action against bloggers using images without permission. I love using cartoons on my blogposts and luckily found a couple of great sites two allow their cartoons to be used with attribution. But google images is full of cartoons with copyright attached that I and everyone else would have used in the past without thinking. You’re right about images being used so freely in the past. I too used to be guilty of taking Google Images without though. I now cringe when I see copyright material used at PDs. It’s good to see people are learning though, and passing this important information onto students. I am very thankful to you for sharing this blog post. I agree that not all bloggers know of the dangers of copyrighting. Thanks for the recommendation of using Creative Commons and explaining how to use it correctly! Where would we be without you! Thank you so much for providing such comprehensive support for teachers who want to blog in the classroom. I am currently helping to support teachers across my school in integrating blogging into their blogging practices and I find I am always referencing Primary Tech in my replies to teacher questions. I intend to start up a support blog for our staff as they begin blogging, and was hoping that it would be alright to include links to some of the absolutely invaluable advice you have compiled here on your blog. Thanks so much for the lovely comment! That’s great that you’re helping to get blogging going in your school. You’re more than welcome to link to my resources. Thanks Kathleen for this wonderful post! We are using it with our Techpserx Club to start their thinking on using and copying online images. That’s great to hear! I hope it helps. I appreciate this very useful resource for showing students how to properly upload and attribute images in blog posts. Many students as well as adults are simply not aware of the potential consequences copyright infringement, and your step-by-step guide will definitely be added to my dossier of items I will share with students and teachers as a media specialist. Thank you for sharing.